Achieving financial comfort, planning for a secure retirement, mitigating taxes, protecting our lifestyle, taking care of family, building a legacy... For most Americans, these are extremely important issues. But many of us feel unprepared and ill-equipped to deal with all of them in a coordinated, knowledgeable way. Many investors are frustrated, worried or uncertain where to turn. They have no idea how to get from where they are today to where they want to be in the future. 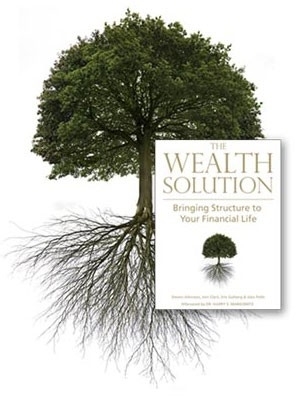 For some, working with an experienced and Independent Wealth Advisor may be the answer. We provide personalized financial solutions that take into account all aspects of your financial life and offer guidance, clarity of thought, and expertise to help you gain confidence in a more secure financial future. We are located in the heart of Old Town, Fort Collins and have over 45 years combined experience among us. We are committed to helping our clients pursue their financial goals in a way that is focused towards their passions in life. We provide a personalized experience for successful families and individuals through our Wealth Management Process; this process is centered around the major concerns of our clients and is grounded in our investment philosophy known as Structured Investing. As an Accredited Investment Fiduciary, AIF designee, I recognize the following Code of Ethics, and its principles and obligations, that governs my professional and ethical conduct.